A lot of people have this habit of losing things. When we lose things, like our car keys, bills, money or even our phone, we not only face a stressful situation but we also feel that something is wrong about us which is making our memory bad. Losing out things does not seem to be a problem especially when we find what we have lost. So, if we lost something in our homes, we are certain that we can find them. But what if we lose our cell phone is a cafe? Now that can become a big problem. Some of the researchers have worked on the science of losing and finding things. Keeping a routine for important things such as keys, wallet, and cell phone can be a good idea. Keeping important things at the place can make it hard for you to lose them. Some people follow this habit for the whole of their lives and it has proved to be fruitful. When you are leaving your house, the best practice could be to keep all the important things in your bag or a pocket. It can save you from losing them. Accordingly, to a psychologist, keeping things and forgetting them can be due to a short-term memory loss or even due to poor eyesight. So, you just get inside your house, you put your keys somewhere but at the same time, your mind is occupied somewhere else, later when you look for those keys, you do not remember. Making a list of all the things that we think are important and we might forget them. Another good trick is to make a list and check your list occasionally, like check your list when you leave your home, check it again when you leave from work. This can be hard at the start but can be a useful trick. Some apps are also available which can help you keep a track of your things. 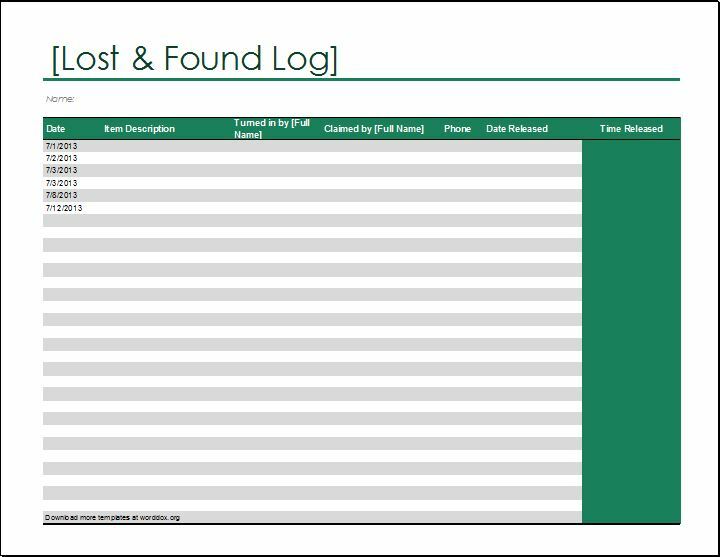 The easiest and free option is to maintain a lost and found log. Mention the date on your log along with the description of the item. You also mention the name of the person who found your lost item. You can also create a log for the items you found that belong to someone else.